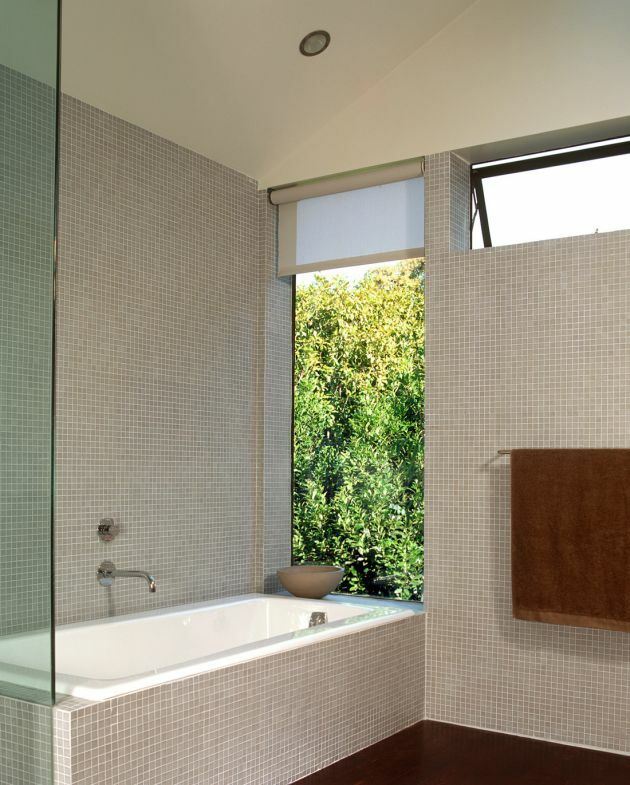 This project involved adding a third story to a small, 1908 shingled cottage in San Francisco. 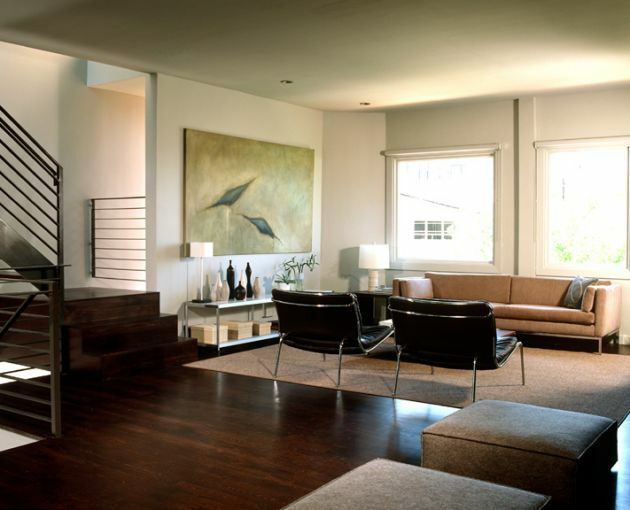 The new third floor contains a Master Bedroom, Bathroom and Dressing Area with sweeping views of downtown San Francisco. 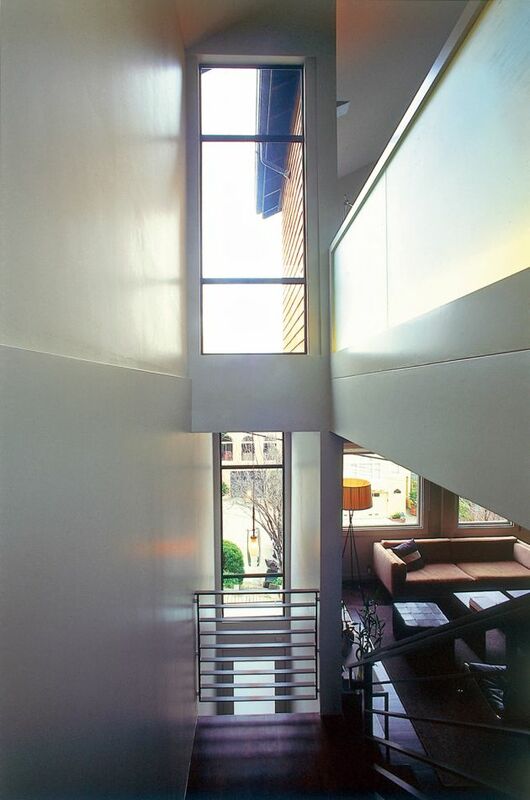 A glazed, double-height extension was added to the front of the house turning the former dark, recessed walkway into a light and welcoming Stair Hall. The new façade presents a seamless reconciliation between the older, shingled cottage and a new, open and modern aesthetic. At the heart of the interior is the new stair to the third floor. 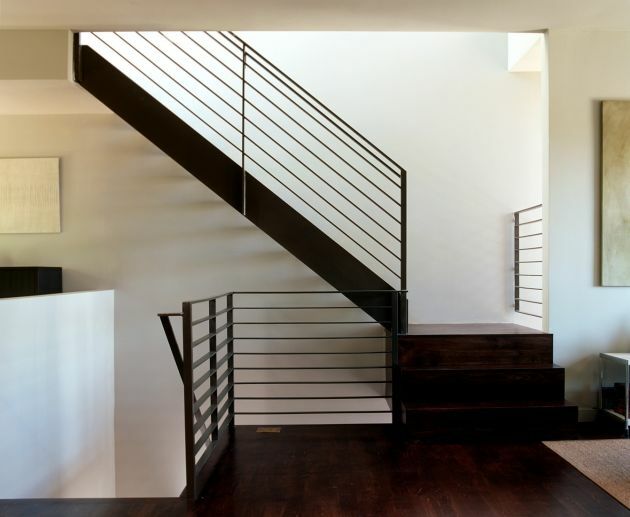 The relationship of the stair and new double-height entry turns a traditionally stacked floor plan into an interconnected and playful circulation space. Details such as open risers and a back-lit cabinet wall reinforce ideas of light and transparency developed in the new addition. 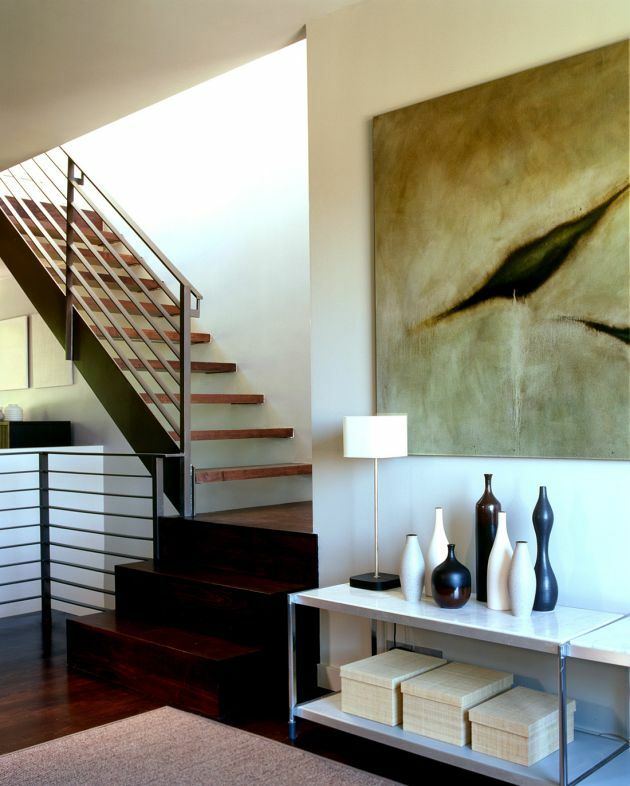 In the Living Room, a new, Platonic and solid steel-clad fireplace balances the open and sculptural stair. The minimal palette of the interior helps emphasize the play of light throughout the house and draws attention to the dramatic views outside. 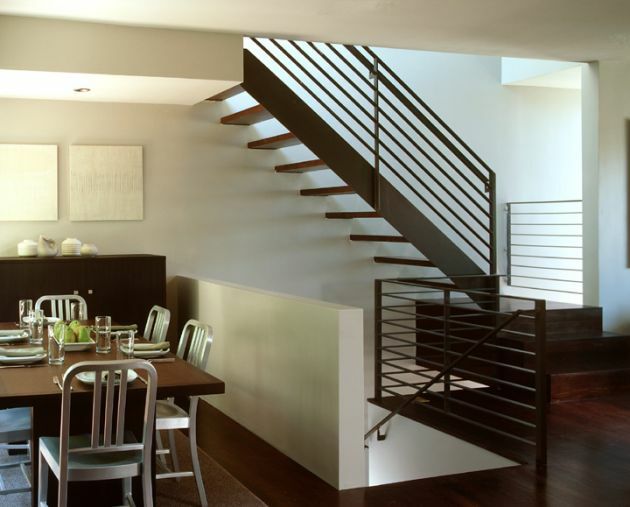 The scale and variation of this new space transformed a petite cottage into a more varied and complex architecture. At the exterior, the new spaces and architectural vocabulary are clearly read as layers of time. The new, metal window-walls are clearly distinct from the punched wood openings of the older shell. The lighter appearance of the upper-story contrasts with the denser shingles below to create a bi-partite composition on the façade: the remaining solid walls of the cottage function as a base for the light container above. 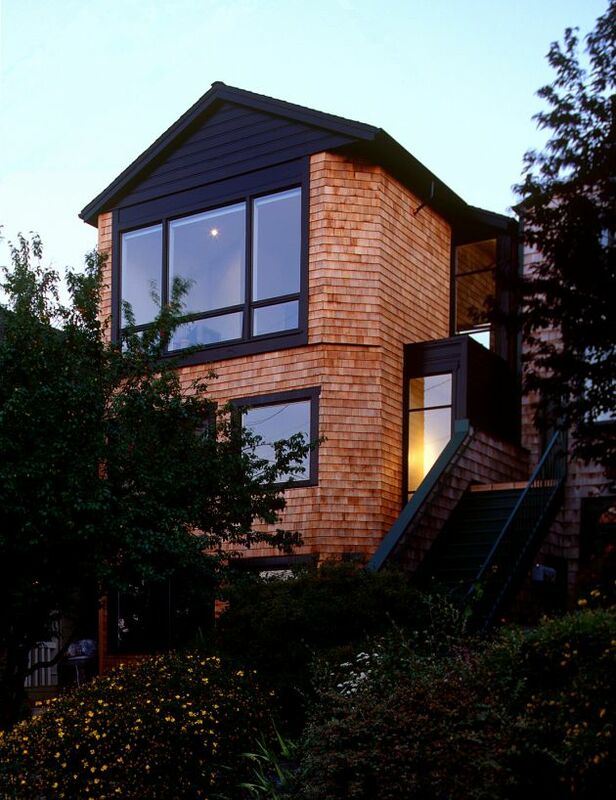 At the top floor, a small offset at the chamfered corner removes the shingles from a pure expression of bearing to show a taut building skin stretched. 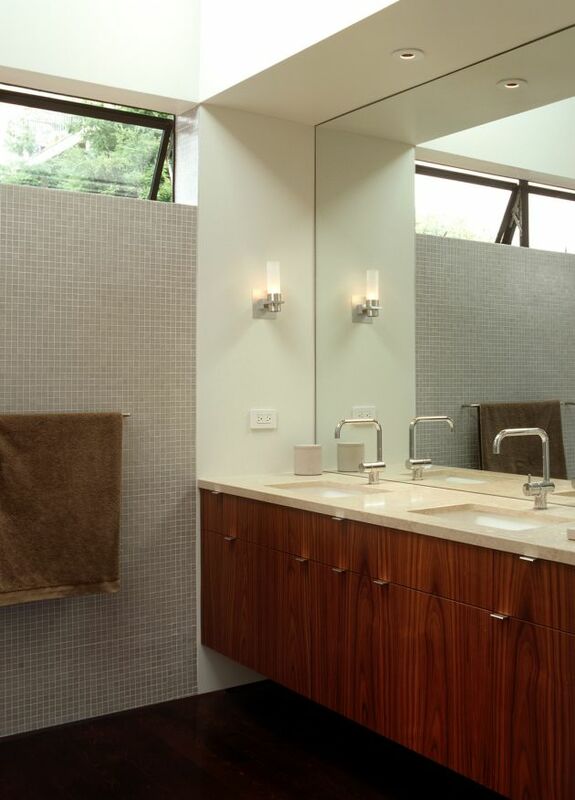 Visit the website of Cary Bernstein Architect – here.